My favorite for close to twenty years. Always consistent. I highly recommend them. I had been buying my cigars from a shop in Naples, Fl. where I used to live. Pricing and service became a problem so I went online and found "Best Cigar Prices". Not only was the pricing significantly better but the service and follow up on my order was great! I would recommend "Best Cigar Prices" to anyone that wanted quality products, excellent pricing and real service. Eddie Schultz, Dade City, FL. 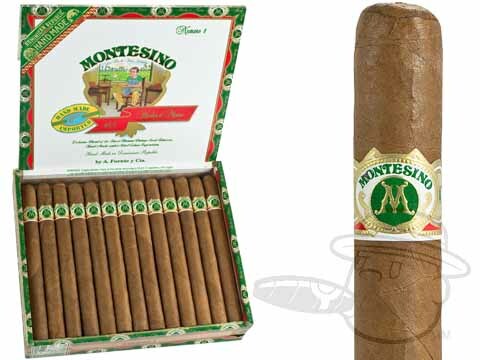 Montesino #1 Natural is rated 4.9 out of 5 based on 4 customer ratings.